Deputy Joan Burton launched PLC D15 today. 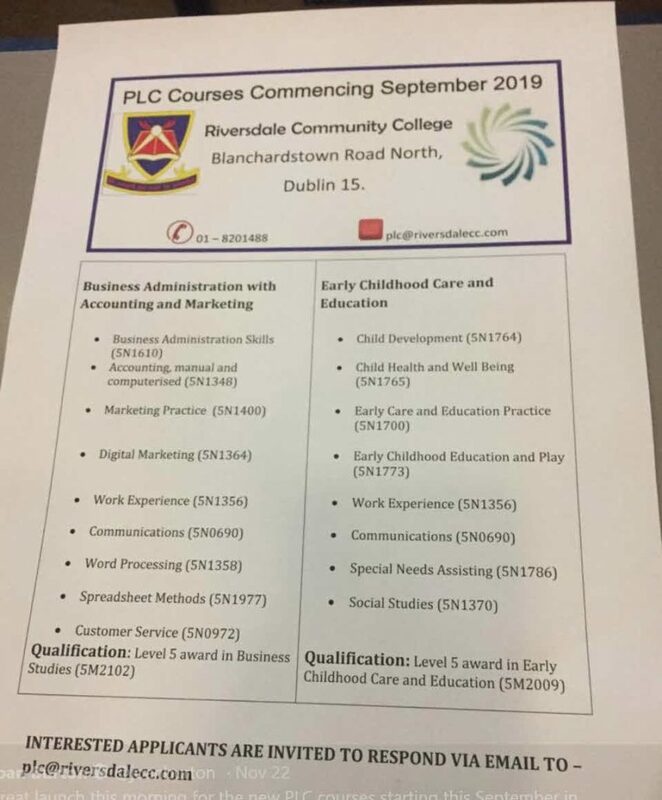 This is a new suite of courses which will be offered from September 2019 at Riversdale Community College in Blanchardstown. Deputy Burton spoke about how these new courses are “Broadening the educational opportunities for the young people of Dublin15”. The new courses on offer include Communications, Childcare, Digital Marketing, Child Health and Well Being, Child Development, Special Needs Assisting, Social Studies and Accounting. If you are interested in doing one of these courses contact plc@riversdalecc.com. 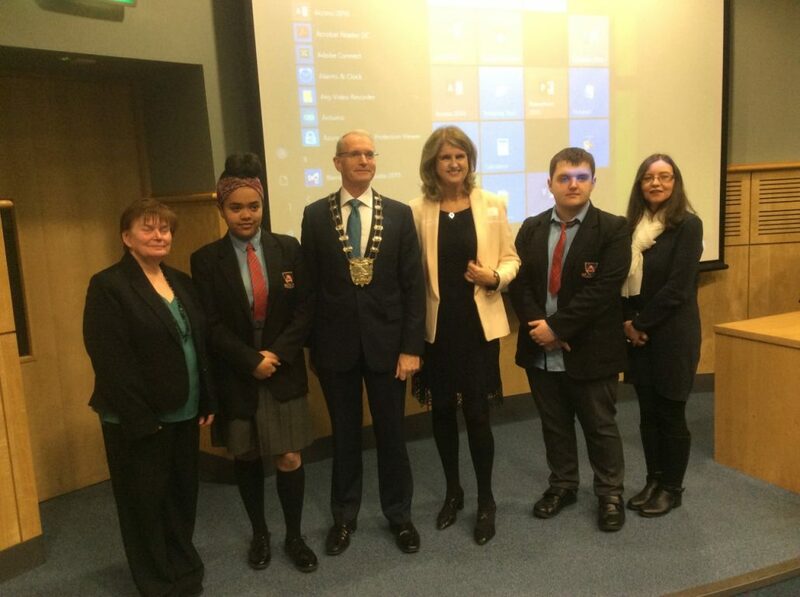 Deputy Joan Burton at the launch of PLC 15. 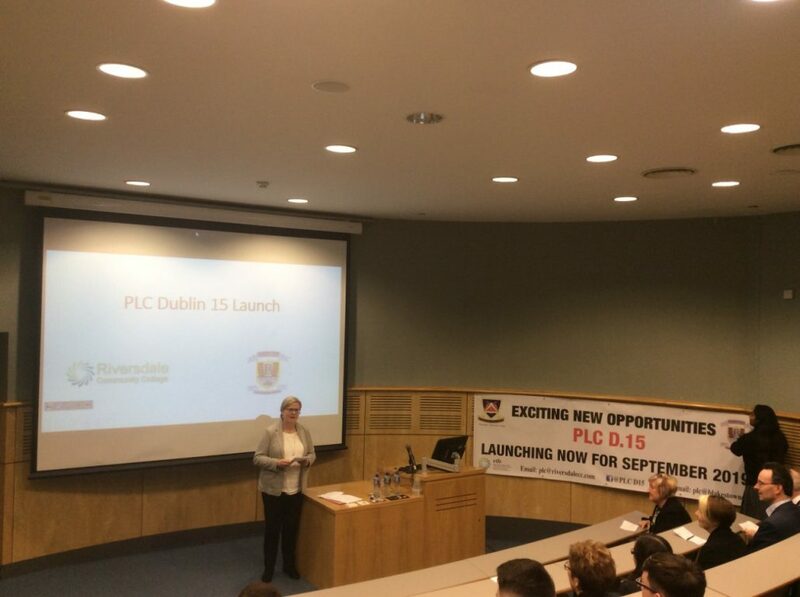 Also at the launch was Dr. Fionnuala Anderson, Director of Further Education at DDLETB.